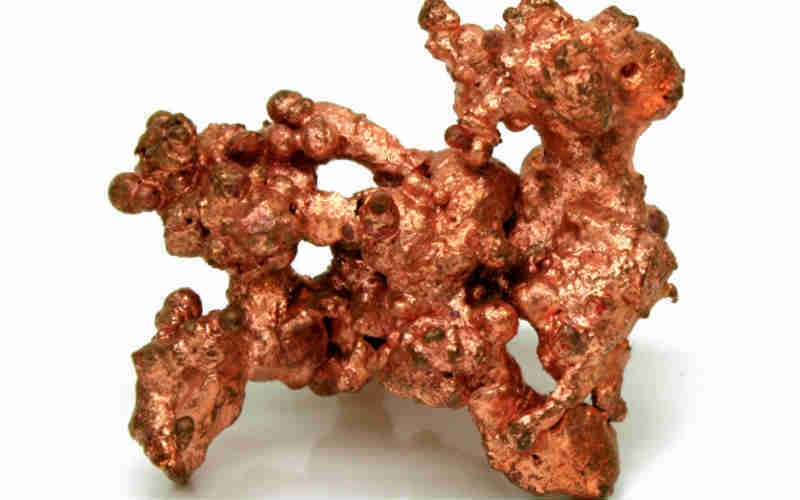 Zambia possesses the world’s highest-grade deposits of copper and is ranked 7th largest copper producer in the world for producing copper. 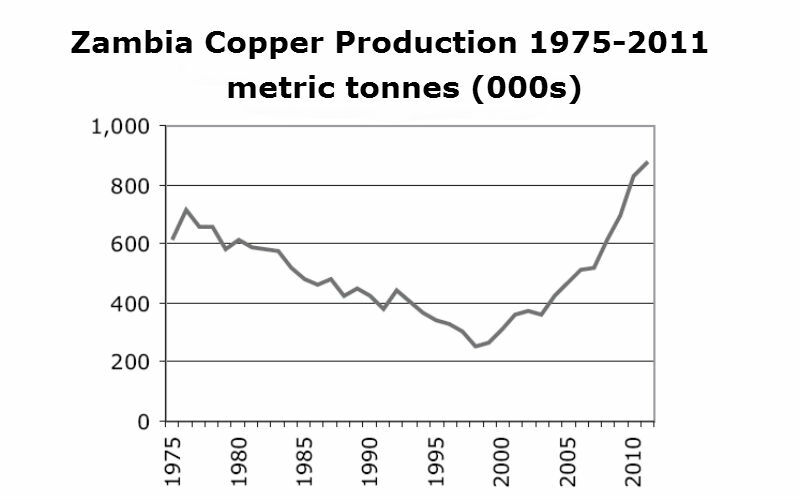 In 2013, Zambia was the sixth largest producer of copper with 800,000 tons increasing from 572,793 tons production in 2008. It has been projected that copper production in Zambia will reach 1,500,000 tons by the year 2018 due to new projects. 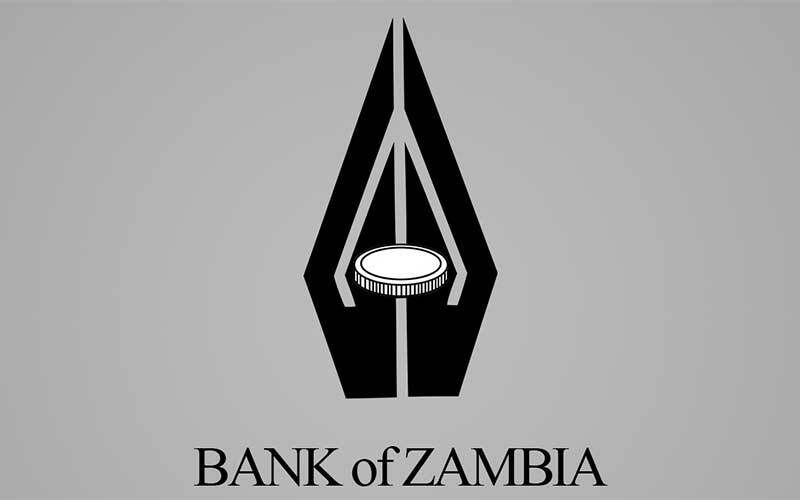 The mining contribution of Zambia to the Gross Domestic Product is forecasted to grow to USD 1.35 billion by the year 2015. Lead and zinc are next important commodities produced by Zambia. With a total of 11 metric tons of ore containing zinc and lead combined in 40% proportion, Kabwe is one of the highest-grade lead and zinc deposits in the world. Although Zambia is currently the smallest coal producer in the region, their coal output is estimated to grow from 281,000 tons in 2014 to more than 2 million tons by 2017. The privatization of the Zambia Consolidated Copper Mines in late 90s along with implementation of fiscal policies in 2004 transformed the economic performance of Zambia. 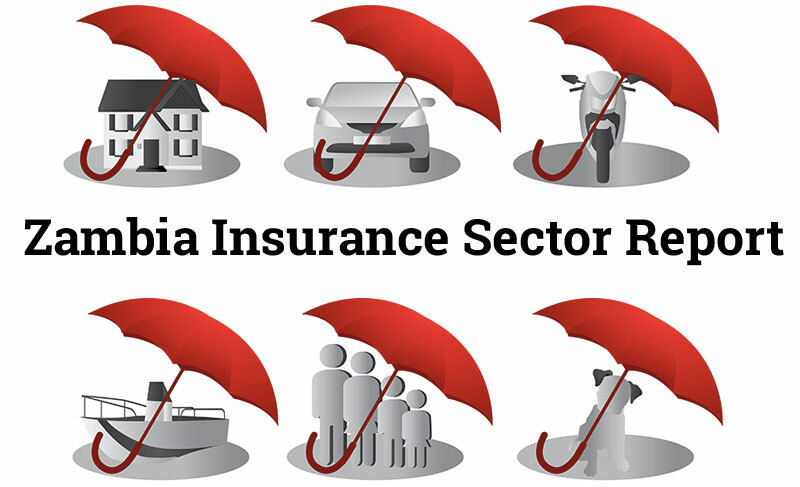 Under the Mines and Minerals Development Act 2008, the government simplified licensing procedures, created favorable investment environment and placed minimum constraints on mining activities. As a result the mining sector of Zambia in the last two decades has experienced tremendous growth and investment. The mining industry of Zambia attracted investment of approximately USD 8 billion since the 2000 employing 80,000 in 2013 compared to 27,000 in 2000. It has been forecasted that the investment in mining sector of Zambia will reach USD 15 billion by 2017 due to new projects under implementation. The Zambian government is focused on economic diversification to reduce its reliance on the copper industry. The diversification program includes promotion of using other components of Zambia’s resource base such as agriculture, gemstone mining, tourism and hydropower. With rapid economic growth and new mines development in Zambia, there has been a 36% demand increase for power in the past decade. This increase in electricity demand means that 26% of Zambia is affected by load shedding usually at peak times. Hydropower is the primary electricity supply mode for Zambia accounting for 95% power production. The height of electricity generation occurs usually in the first half of the year during rainy season Zambia whereas the mining sector of Zambia is highly productive during the second half of the year when the generation of hydropower is lower. The load shedding is responsible for decreasing the overall efficiency of mining sectors that roughly consumed as much as 60% of total generated power of Zambia. Zambia Electricity Supply Corporation (ZESCO) is the sole electricity producer. From 2005 to 2014, the demand increase has been in alignment with ZESCO’s 2006-2016 projects of further 100MW per annum. ZESCO current power production capacity is however creating a persistent problem for the mining sector. Zambia fulfills the gap between electricity demand and production by importing electricity from the South African grid. Coal increasing production levels are expected to alleviate a larger part of current electricity deficit of Zambia as power plants can utilize coal production. In order to support the mining sector of Zambia, ZESCO has established partnerships with local and international firms to invest USD 4.7 billon. This investment is expected to double power capacity to 4,203MW within six years. Kafue, Gorge Lower Hydro Project, the largest of power projects is a joint venture between SINOHYDRO of China and ZESCO to generate 750MW of power at a cost of USD 2 billion. This project will complete in 2018. Rail network is very crucial for mineral-exploiting economies like Zambia, being the most competitive mode of transport for time insensitive and bulk commodities such as copper. However the low traffic densities of Zambia’s railway are below the viability threshold of at least 2 million tons per kilometer. This is making it difficult to capture the revenues required to maintain assets. In order to develop a better rail network, an agreement of rail co-operation between Zambia, South Africa, Democratic Republic of Congo and Zimbabwe is under progress which will allow increased export of copper by copper rich countries through the Port of Durban in South Africa. The Zambian government is also planning to invest USD120 to revamp rail line linking South Africa with copper producers to move use rail as the primary mode of transportation. • Uranium: In Zambia, there are various uranium deposits available in different areas. Many companies have carried out uranium explorations in Zambia with a special focus on potential mineralization in the Copperbelt, Karoo Age sediments and the Domes region of the Northwest Province. • Coal: coal is mined at the Maamba mine that has 20 million metric tons of reserve. The coal found in this region is sub-bituminous durain-fusain with relatively high ash content. Carbonaceous shales and thin coal seams have also been identified in the eastern part of the Bartose Basin and lower Karoo of the Luangaw and Luano-Lukusashi.